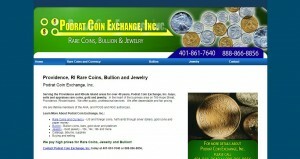 Podrat Coin Exchange Inc address, phone, website, and more. Serving the Providence and Rhode Island areas for over 40 years, Podrat Coin Exchange, Inc. buys, sells and appraises rare coins, gold and jewelry. In the heart of the business area on 769 Hope Street, Providence, Rhode Island. We offer quality, professional services. We offer dependable and fair pricing.